The four startups including GoldMint featured here and others have come up with the idea to back up their tokens with real gold. Gold has always been a stable asset winning the trust of people all over the world. 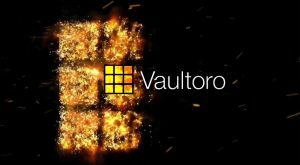 Today when buying gold, whether through a website or investment service, investors have little to no control of it, nor any real way to verify the gold assets you received a paper certificate for exists in someone’s vault. The option for bigger investors, such as banks, pension funds, etc., has been to use gold as a hedge against market downturns, as collateral for loans, etc. This hasn’t been an easy option for individual investors though, as banks and investment firms prefer not to deal with the small amounts of gold the typical individual might possess, essentially locking them out of utilizing more complex investment options. 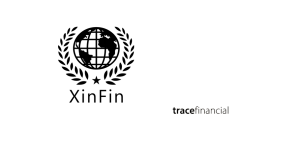 The first step towards rectifying this imbalance of access was the creation of ETFs. These allowed casual individual investors to pick out funds that matched their goal of securing their portfolio against risk with a historically strong asset. As you can see from Investopedia’s list of the top gold ETFs, they offer some diverse choices. However, not all of them allow an investor to redeem physical gold equivalent to their share of the fund. This may be a small point for some people, but a deal-breaker for others. Now it’s 2017, and blockchain technology has brought us a superior solution: digital gold currencies. While at first glance, some of these new projects like GoldMint, Onegram, RMG, or Xaurum might resemble an ETF, they are far different. Because they use blockchain ledgers, they are much more secure. Because they are cryptocurrencies, they are far more liquid. These new gold-based blockchain projects are also diverse in what they offer to potential users. They all run on the same core premise: physical ownership of gold via digital blockchain cryptocurrency tokens. Each project is unique in how they go about providing value to the token holder. 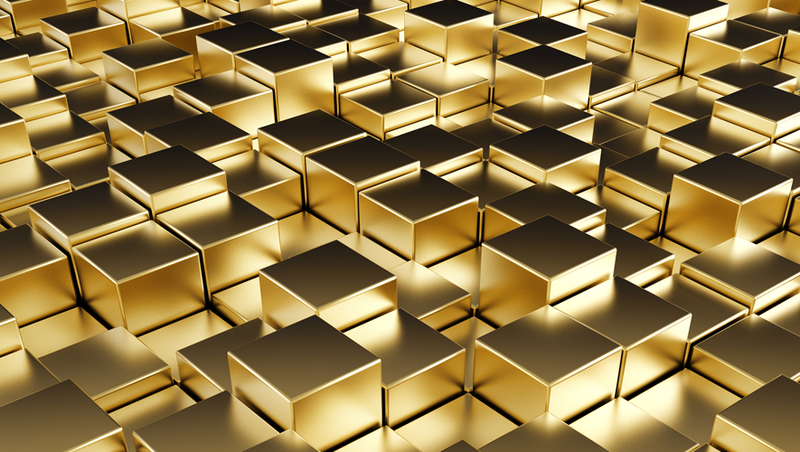 GoldMint is a new company that has an ambitious plan to create a worldwide network of robotic gold storage vaults (Custody bots) in consumer-friendly locations such as jewelry stores and pawnshops. 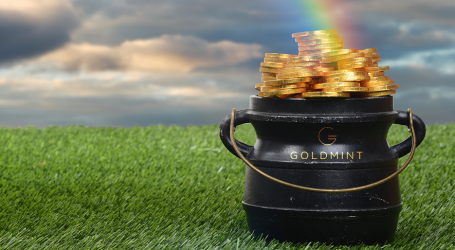 This is a remarkable idea that really makes it standout from the other projects because it allows people with small amounts of gold to exchange it for GoldMint’s GOLD token. GoldMint uses Proof-of-Stake on their own unique, Graphene-based blockchain token called MNT, where miners are rewarded blocks/transactions according to the amount of MNT they have. Proof of Stake (PoS) is faster, simpler and cheaper than Proof of Work (PoW). They’ve developed a custom API to facilitate third party apps that will allow people to use their GOLD as collateral for loans, or simply to hold as an investment. Due to their use of an ETF, clients can also simply use GOLD as a passive investment that will generate strong returns over time. Onegram is interesting because it’s based on Sharia and Islamic finance. It’s a gold-based cryptocurrency that uses a 1% transaction fee, part of which is used to buy additional physical gold. They’re trying to create their own payment gateway called YalaPay, and also plan to issue a custom Mastercard that draws from a user’s Onegram coin wallet. 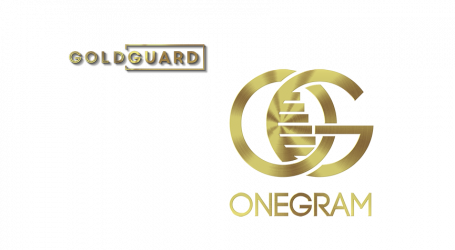 Each Onegram coin will be backed by a minimum of 1 gram of 999 standard gold. This company may find a very good niche for itself. Royal Mint Gold, or RMG, has simply taken gold trading and added a digitized blockchain ledger to keep track of the transactions and audits. This helps it reduce costs by removing unnecessary middlemen from the process. They offer centralized storage at the Royal Mint facilities in the U.K., and currently, they are only targeting institutional investors. They do allow physical redemption of gold and also allow buyback in fiat. Xaurum was one of the first gold-based cryptocurrencies. They use network transaction fees to fund the acquisition of additional gold reserves. 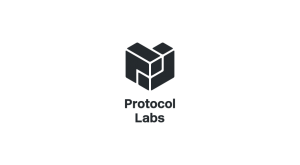 Their token was initially PoS on an independent blockchain but has since migrated to the ERC20 standard. You can “melt” your Xaurum token to receive physical gold delivered anywhere in the world. 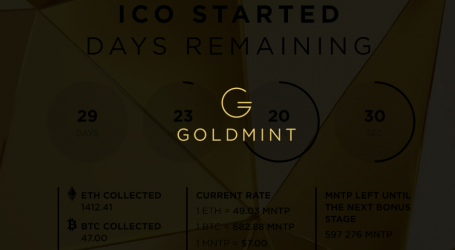 For more insight from GoldMint, you can follow their official blog.